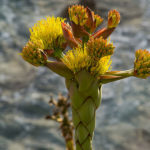 Agave shawii is a medium sized agave, with green ovate leaves up to 20 inches (50 cm) long and up to 8 inches (20 cm) wide, and a variable pattern of marginal teeth. 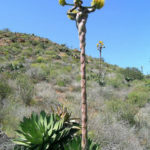 The inflorescence forms a panicle up to 13 feet (4 m) in height, whose 8–14 lateral flower clusters are subtended by large purple bracts. 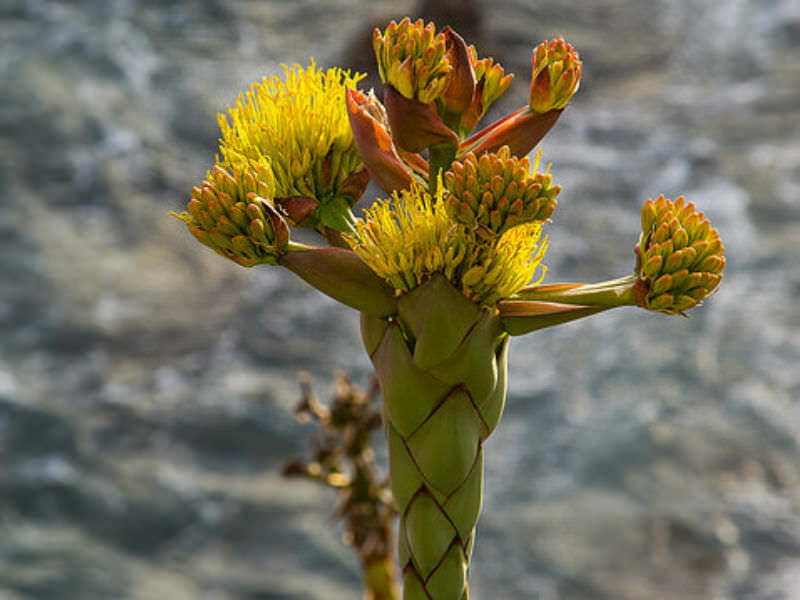 Each flower cluster consists of a mass of yellowish or reddish flowers. 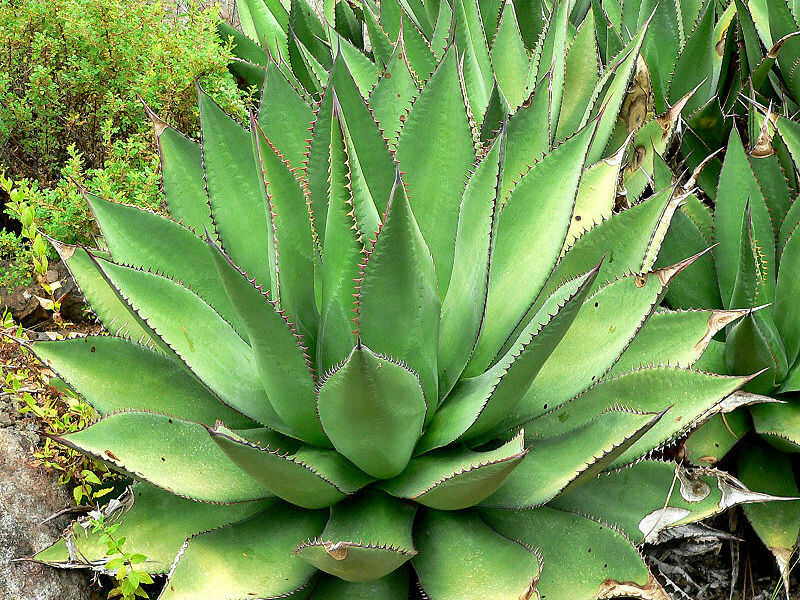 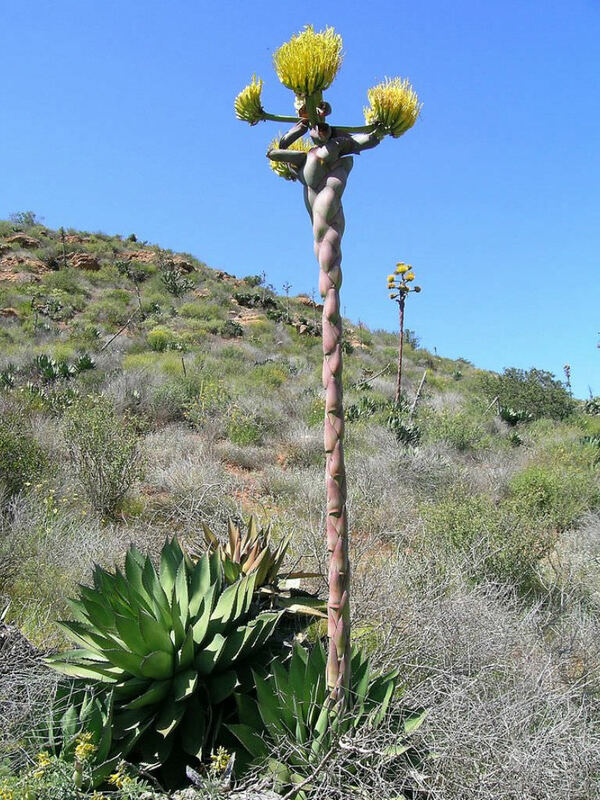 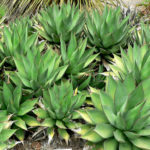 It generally flowers February to May, and as typical for Agaves, the rosette dies thereafter. 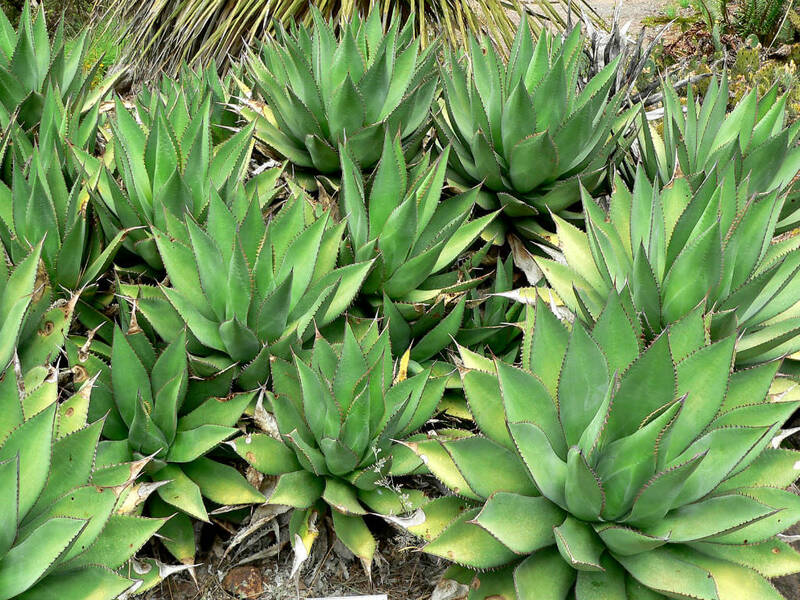 Native to California coastal sage and chaparral habitats, along the Pacific Coast of northern Baja California state of Mexico and southwesternmost San Diego County of California.